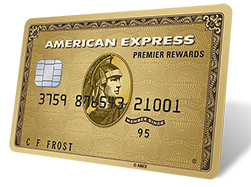 My most recent credit card approval was for the American Express Premier Rewards Gold card. It offers a 50,000 Membership Rewards point sign up bonus after spending $1,000 within 3 months. This is such an easy sign up bonus that I had my mom sign up (and get approved for) the same card. An interesting benefit of the card is that it offers a $100 airline fee credit per calendar year. Many Flyertalk members report success with getting the Premier Rewards Gold $100 airline fee statement credit with purchasing airline gift cards. The American Express Platinum card offers a $200 airline fee credit. The gift cards most preferred appear to be the ones from American Airlines or Southwest Airlines. Since my wife needed a flight from Portland (PDX) to Orange County (SNA), the timing worked out well for me to try getting a statement credit for a Southwest Airlines gift card. On Saturday 8.1, I selected Southwest Airlines as my eligible airline fee credit on the American Express website. I did this for my own Premier Rewards Gold card as well as my mom’s Premier Rewards Gold card (she was nice to let us use her $100 airline fee credit). On 8.3, I went to the Southwest Airlines gift card page and purchased a $100 Southwest Airlines gift card with both charge cards. I then found the flight that my wife wanted to take, which cost $221.01. 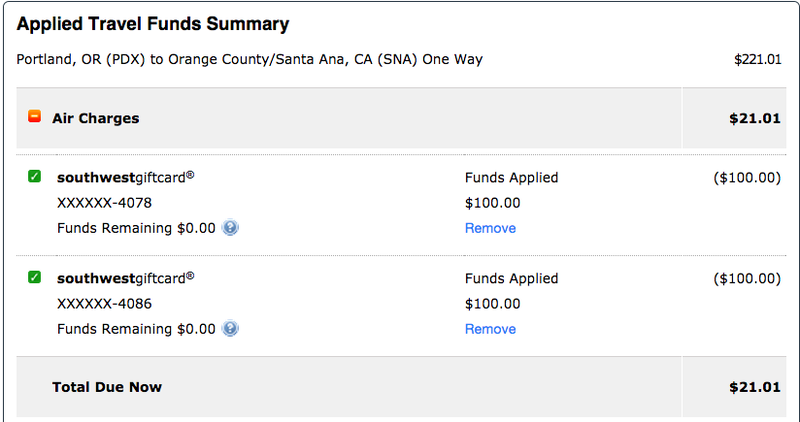 Before purchasing the ticket, I applied both $100 Southwest gift cards to my account to get $200 off the price of the flight! You can apply up to 4 Southwest gift cards per flight booking. I only had to pay the difference of $21.01. Best of all, my wife earns more Southwest Airlines Rapid Rewards points for this flight (since it was paid with cash)! On 8.5, I was happy to find that both of our AMEX accounts (me and mom) each received a $100 statement credit from American Express. AMEX wants you to allow up to 2-4 weeks before the statement credits appear on your account. 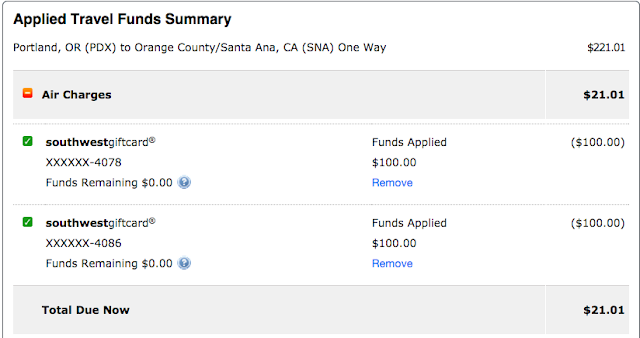 Most flyertalk members reports receiving their $100 airline credit only a few days after making an eligible purchase. The American Express Premier Rewards Gold $100 airline fee credit is very easy to earn each calendar year. For those that are not interested in airline gift cards or fee credits, some reports say that you can go through the United Airlines Mileage Plus X mobile app to purchase other gift cards (such as Amazon gift cards). See this reddit thread for more details. When January 2016 comes around, I can earn another $100 in airline fee credits!